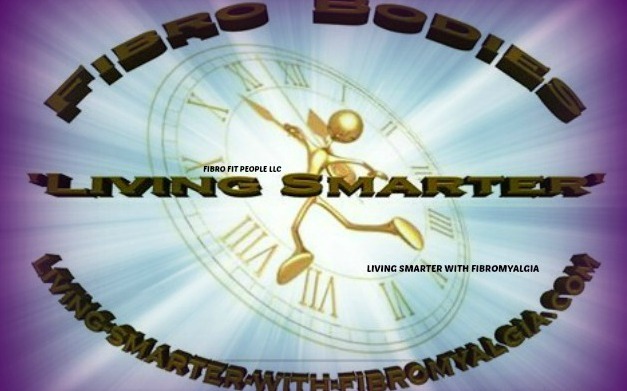 Adhering To Our "Body Clock"
Living with fibromyalgia requires that we adhere to our body clock. The body clock is the internal rhythm that supports our daily functions. Why is adhering to our body clock so important? Because when we do, we naturally support the many systems in the body that correlate with fibromyalgia, especially the nervous, endocrine and immune systems. Optimal health in these systems can at least decrease symptoms, inflammation and levels of pain. HGH or Human Growth Hormone is essential for good health and is secreted at night during sleep. HGH controls everything from metabolism to how our bodies age. There is a reason for lightness and darkness and nature has built this intelligence within every body. Actually, it's within our cells. During the light hours of the day our bodies are more in tune to digestion, assimilation of nutrients and creating the energy required to handle our daily activities. During the dark hours, our body is in need of regeneration and this can only take place when the body is resting and in deeper phases of REM sleep. The pineal gland (eye level in the brain) is a producer of both serotonin and melatonin. The pineal gland is activated by the sun and this in turn produces serotonin naturally. You know how much I speak about helping our bodies to naturally produce hormones, right? Well, with fibromyalgia and our extreme sensitivities, it is even more crucial that we produce hormones naturally as intended, whenever possible that is. This is critical for us in living with fibromyalgia. Then as the sun is going down, the pineal produces melatonin. But we must support this natural function by winding down, turning off lights, computers, etc. For most of us, this takes practice for sure as we are not as "wired" in this day and age to rise and sleep with the sun. Practice makes progress here. "Stress, stimulants, and caffeine are not the only things that damage the adrenal glands; 'second winds' are also very damaging to the adrenal glands and to the entire endocrine system"
Getting proper sleep is so important when you have fibromyalgia that if all the natural Rxs do not work, you may need to talk with your doctor about trying a non addictive sleep aid while implementing a schedule to support better sleeping patterns at the same time. I also recommend buying a pill cutter so you can take only the lowest effective dose regardless of what your doctor prescribes. Also, with establishing proper lifestyle patterns, any sleep aid should be used as a temporary support and not long term whenever possible. If you decide to try Melatonin to help you fall asleep, just like with anything else, try taking the lowest effective dose. Start with 1mg. and see if it helps you fall asleep within half to one hour of taking. If that is not sufficient, try 1.5 mg. Then up to 3mg. if needed. Some formulations go up to 10mg. Melatonin is still a hormone, and we want to use caution. If you have an auto immune illness, talk with your doctor before using melatonin. Try using a melatonin oral spray, which will bypass the liver and be better utilized. These are very cost effective. There are also many sleep CD's on the market and some use various sounds and vibrations that can aid in helping the mind and body to relax. The key is taking the time to wind down long enough before actually getting into bed. Many of us are busy and working to get everything done in the evenings, but the problem is when our second winds are allowed to come in. After too many 'second winds' we lose touch with HOW to wind down and this only perpetuates fibro symptoms. As I mentioned above, during the daylight hours, our body is very in tune with digestion and that is the only time we should be ingesting food. We have the most digestive fire during lunch hours, about 11am to 3 pm. It is never a good idea to skip lunch. This can be hard on the digestive system and the gallbladder. Try to eat your heaviest meal during this time of the day and work to eat lighter dinners if you do not already. Or eat two smaller meals in the afternoon, say late morning and then middle afternoon. Avoid eating at night or after the sun goes down if at all possible. Of course, if hunger is keeping you awake at night, then a light snack, preferably easy to digest like fruit would be most ideal. Avoid too much protein after 5 pm as this takes much longer to digest. A good suggestion I like to give is to use your protein or animal protein as a condiment at dinner, for instance, chicken or salmon pieces on a salad. Setting a schedule for bed time can be challenging when living with fibromyalgia, and yet it is also the most essential. Try to first utilize natural Rxs if sleep does not come easy. 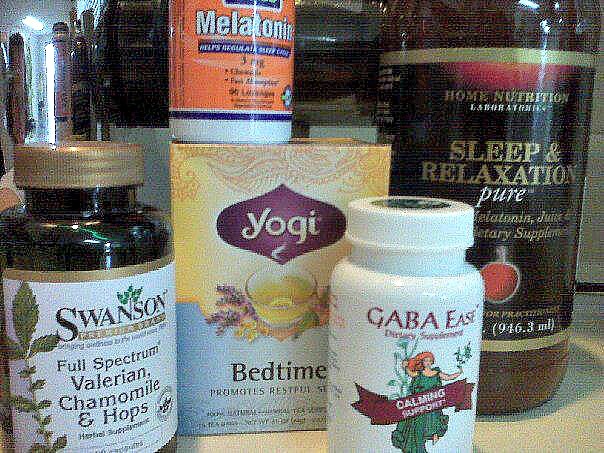 Not everyone does well with oral melatonin. If you take melatonin and find yourself waking up after only a few hours of sleep, you may need to reduce the dosage or talk with your doctor. Another tool we can utilize is eating meals on a regular basis and getting in some form of safe and effective exercise. As a fitness trainer living and working with fibromyalgia, I have found that afternoon is often the best time for more intensive exercise while morning is best for a walk with the dog, friend or family member to get the blood flowing and reduce stiffness. You see, it is essential to know your body when it comes to all daily activities including exercise. It might not be right for you to get up and exercise first thing in the morning. You should never try to adapt to some "ideal" in terms of daily activity. I find that our joints and muscles will respond better with afternoon or even early evening workouts. You might hear people say it's not good to exercise too late in the day. But with fibromyalgia, I truly believe, the later the better, just keep it within two hours of bedtime. In fact, if you are incorporating any amount of yoga or tai-chi moves, then all the better to help with sleep issues. Just give yourself enough time to wind down after workouts of any kind. If adrenal issues are challenging , be sure to use adaptogens such as Ashwagandha, Vitamin C , Keto-7 DHEA or other means of adrenal stress support so that exercise will work for your body and not against it. This will again support the body in winding down properly. The body clock is meant to support us yet we must adhere to these few key principles within our daily patterns to create the most functional life possible while living with fibromyalgia. Thank you. Lisa. Home > Mind Body Connection > living with fibromyalgia.